Includes (1) N264209 Charger. New, Bulk Packed. Genuine OEM Replacement Part # N264209. Consult owners manual for proper part number identification and proper installation. 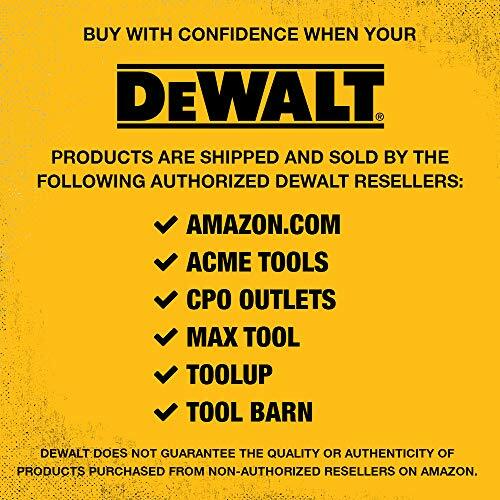 Compatible with the Following: DeWALT: DCD771C2,DCD771. 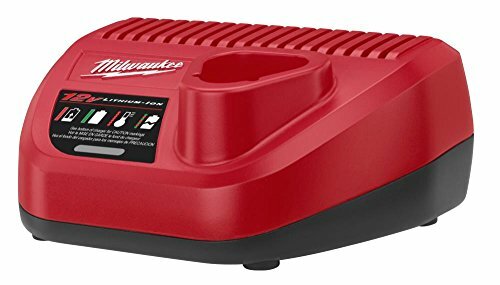 Look no further than the Milwaukee 48-59-2401 charger to keep your 12 volt M12 Milwaukee batteries in peak condition. 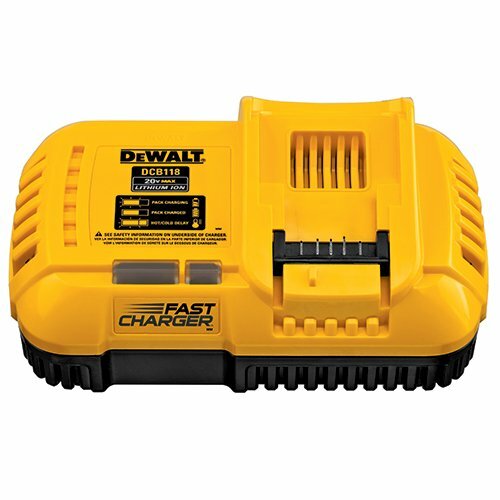 This will handle your 12 volt batteries, charging the more compact models in as little as 30 minutes, with the high capacity models only needing up to an hour to become fully charged. Onboard LEDs status indicators let you know whether your batteries are charging, charged, or are in need of maintenance. Other features include mounting hooks so you can keep this hung on a wall. Feet on the base of the charger let you keep this flat on the ground without wearing the unit down. Keep it in room temperature, dry areas for maximum performance. If there is any maintenance you need to perform on this, it s as simple as blowing compressed air into the charger to keep dust out. No matter what tool in the Milwaukee M12 line you re trying to power, use the 48-59-2401 from Milwaukee to keep your batteries in tip top shape. 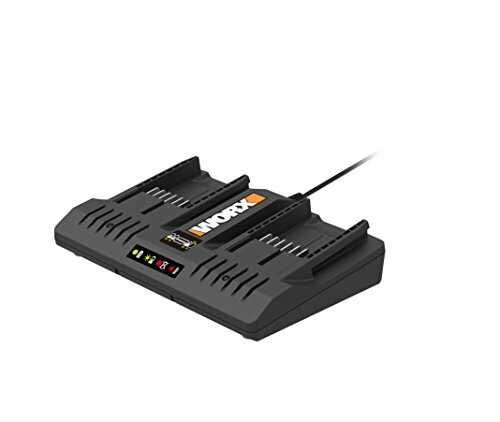 The WORX dual port quick charger is for use with 18/20V lithium batteries. Dual port allows for two charging modes that allows one battery to quickly charge or charge both within 2 hours. 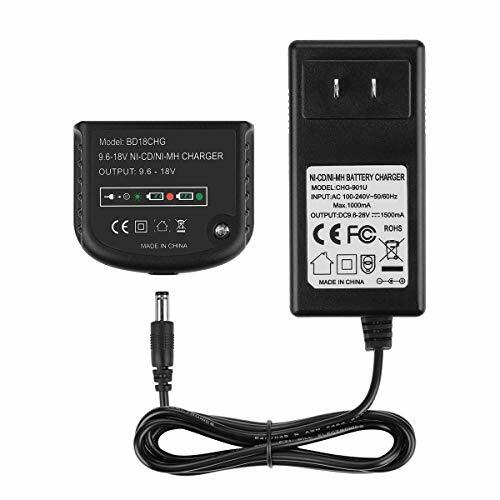 Charger is compatible with WA3520, WA3525, WA3512, WA3512.1, WA3522, WA3544, WA3575, WA3578 batteries. May be used with models WG151, 154, 155, 156, 157, 160, 163, 251, 255, 320, 321, 322, 323, 540, 545, 546, 629, 778, 890, 891, 918, 919, 920, 921, 951 series. 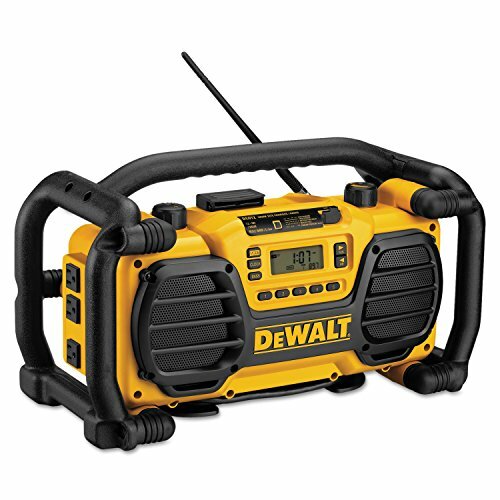 Works well on all Black and Decker 16V 20V Lithium Ion Batteries. We have done product compatibility testing on all Black and Decker 16V 20V Lithium Ion Batteries. Please feel free to purchase. If you have any questions, please contact us and we will deal with them immediately. 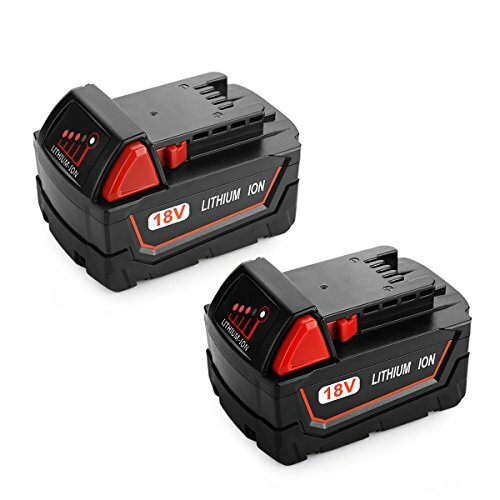 Compatible with Black and decker 16V 20V lithium battery LBXR20 LBXR20-OPE LB20 LBX20 LBX4020 LB2X4020 LBXR2020-OPE LB2X3020-OPE. LED temperature gauge lighting, indicator lights that show the status as batteries are charged and maintained, full charger time is 7 - 10 hours as original. 45Days money back and 18 months warranty! 24*7 hours prompt customer service. Comply with FCC RoHS and CE security testing standards. WALL MOUNTING: Keep this almost anywhere you need with the screw brackets located on the back of the unit. Note: Item is shipped in bulk packaging. 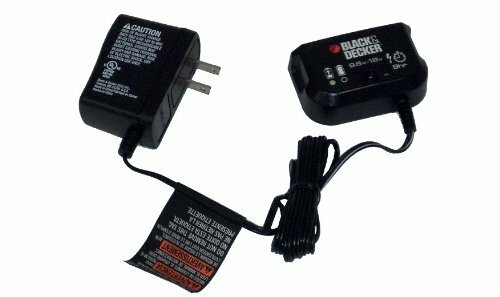 The Black and Decker 5103069-12 Slide In Style Charger is an OEM replacement part compatible with many Black and Decker, Delta and Porter Cable machines, including models: NST2018 Type 7, PS1800K Type 6, BDCS1800 Type-1, BDG1800 Type-1, BDGL18 Type-1, BDGL1800 Type-1, BDGL18K-2 Type-1, BDPHS180G Type-1, BDRS1800 Type-1, BDS1801 Type-1, BDS1802G Type-1, CD180S Type-2, CD182 Type-1, CD182K-2 Type-1, CD18GSR Type-1, CD18SFRK Type-1, CD18SFRK Type-3, CD18SK-2 Type-1, CD18SR Type-2, CDC1800 Type-1, CDC180AK Type-1, CDC180ASB Type-1, CDC180ASB Type-2, CRS180B Type-1, CS180B Type-1, CS180B Type-2, FS1800CS Type-1, FS1800RS Type-1, FS1802D Type-2, FS1802S Type-1, FS1806CS Type-1, FS1807CS Type-1, FS18FL Type-1, FS18JS Type-1, FS18S Type-1, FS18SS Type-1, FSD182K-2 Type-1, FSD182K-2 Type-2, FSD182K-2 Type-3, FSD182K-2 Type-4, FSL18 Type-3, HP1800 Type-1, HPD18A Type-1, HPD18AK-2 Type-1, NPS018 Type-1, NPS1018 Type-1, NS118B Type-1, NS118-P Type-1, NST2018 Type-1, NST2018 Type-2, NST2018L Type-2, PC18RS Type-1, PS1800 Type-2, PS180S Type-1, PSO1800 Type-1, PSO1800 Type-2, SPV1800 Type-1, SPV180F Type-1, NHT518, NPP2018, NPS1018, NS118, CCS818, FS1802BNB, GC818, NLP1800, NPT318, FS18CS, FS18HV and FS18PS. It weighs 0.40-pounds. Since 1910, Black and Decker has been setting the standard for innovation and design of power tools, accessories, outdoor yard care equipment, home cleaning products, automotive and lighting products, hardware and other home improvement products. 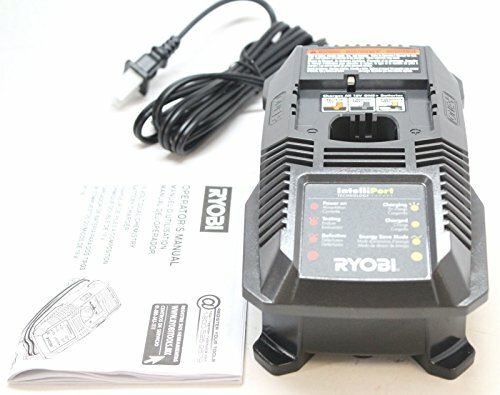 This is the piece of hardware you need if you have a large number of Ryobi batteries that need charging. 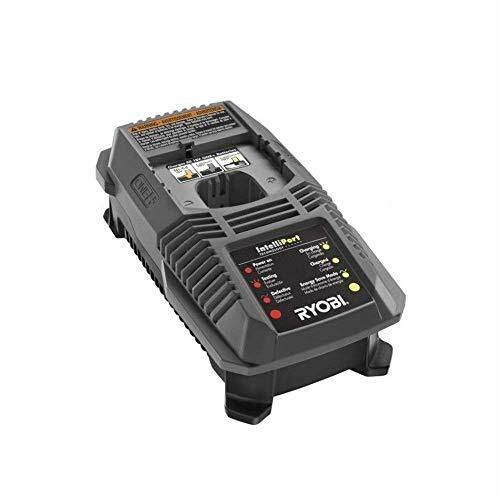 The P135 supercharger holds up to six of any Ryobi battery. This is able to charge some models like the P102 in only a half an hour. This particular system optimizes storage space with the convenient carrying handle. You can either lay it flat on its side or vertically on either one of its ends. You can even mount it on a wall with the conveniently located brackets on the back. Imagine the possibilities with all of that extra space freed up.The P135 system even has you covered if you need to charge your smartphone. It has a USB port for anything you d need using that technology. Leave your dead batteries in the P135 overnight after a long work day, return in the morning, and your fuel cells will be charged and ready to go at it for another day, every day. 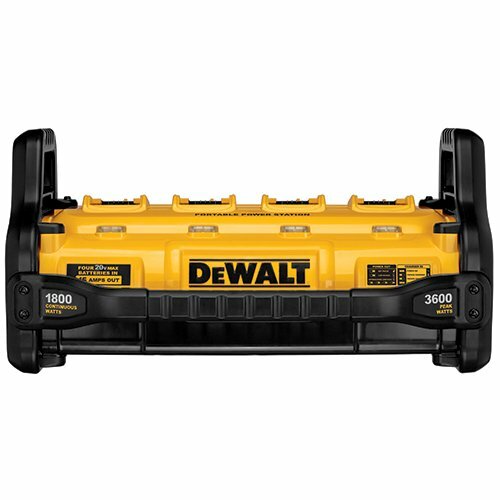 The DEWALT DCB1800B flexible portable power station is designed as a 4 port parallel charger. 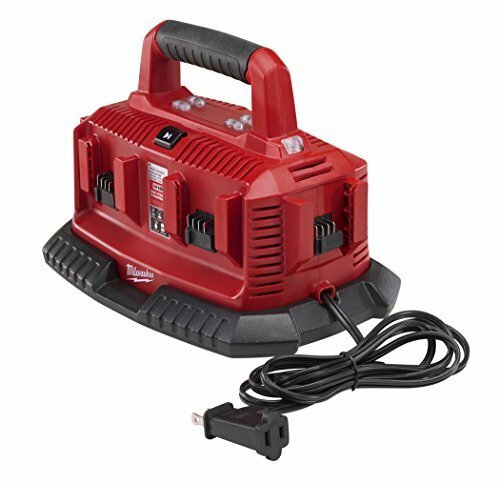 This 1800 watt portable power station operates with four 20V MAX* batteries in, 15 amps out. (Batteries sold separately). Take cordless power anywhere! Specifications: MAX AC output 3600 watts / rated AC output 1800 watts. 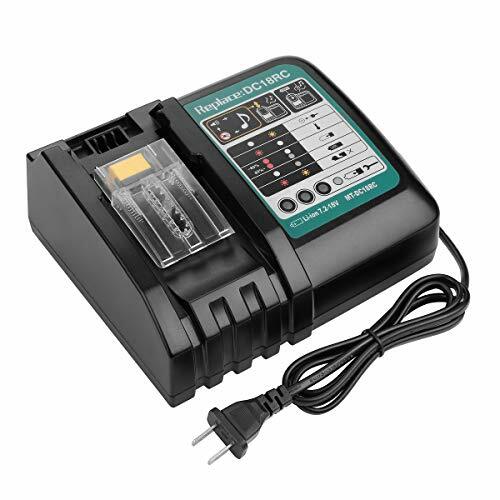 MAX current (120V/240V) 30 amps / rated current (120V/240V) 15 amps. Required Number of batteries - (4) 20V batteries. Indicator lights: inverter and charger, operation and fault, low battery. Flexible - the power of corded. The freedom of cordless. Come with 30 days money back. 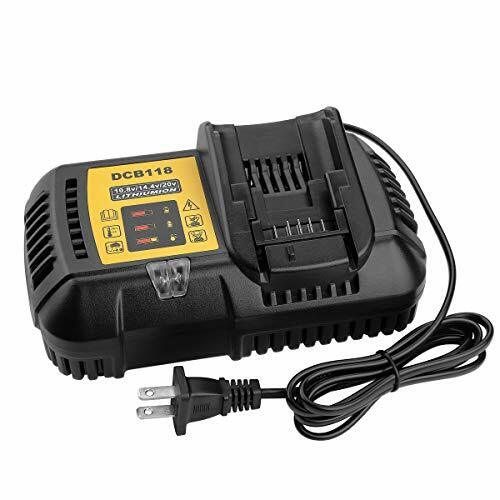 Compatible with Porter Cable 1.2V-18V Ni-MH/Ni-Cd batteries, Not for Li-ion battery. Compatible with Porter Cable PC18B, PCC489N ATOOL248, PCMVC, PCXMVC, 90533718, PC186CSB. 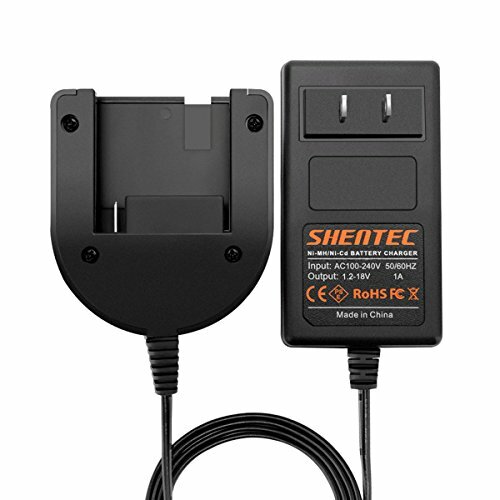 Input voltage: AC100-240V, Output Voltage:1.2-18V / 1A. Excellent charging function and short circuit protection. Time for a fully charged: 1.5 - 3 hours. CE, FCC and RoHS certified, 100% compatible with the originals. Keep your batteries charged so you can work as long as possible. 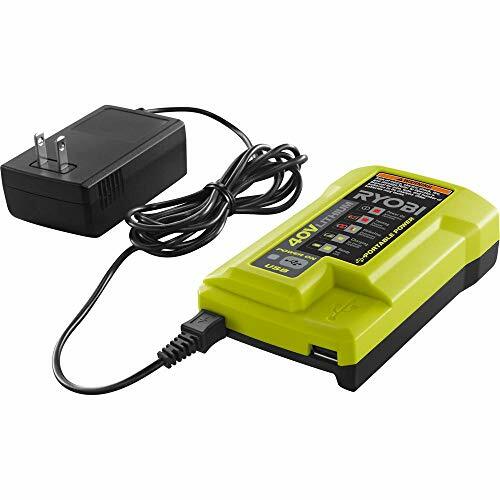 Use the Ryobi P118 dual chemistry battery charger to keep your Ryobi batteries up to task. Both NiCad and lithium ion batteries can be charged. You don't need to worry about compatibility as long as you're working with Ryobi and the One+ system. You can keep track of your battery status with on-board LED charging indicators. Keep this piece of equipment on the walls with keyhole brackets located on the back. 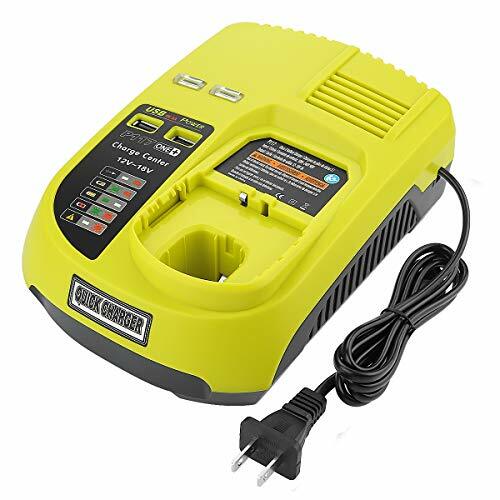 Keep it around the house so you can always have a full battery for repairs.This charger, when used in tandem with the full suite of Ryobi tools, is a convenient and valuable addition to anyone's home. Item ian shipped in bulk packaging. 2788-22, 2702-22CT, 2701-22CT, 2707-20, 2708-20, 2607-22CT, 2607-20, 2603-20, 2603-22, 2615-21CT, 2615-21, 2606-22CT, 2604-22,2604-20. 1,Keep the battery Clean before charge.Store it in a clean, dry, cool place away from heat and metal objects. 2,Don't leave the battery dormant for long periods of time,We recommend using the battery at least once every two to three weeks. 3,Ni-Cd, Ni-MH and Li-ion batteries will self-discharge during storage,remember to recharge the batteries before. Products are CE certified, tested by manufacturer to match OEM products. Higher capacity battery for longer running time. 45 days money back, 12 months warranty. 24h*7 prompt customer service. New for 2019! 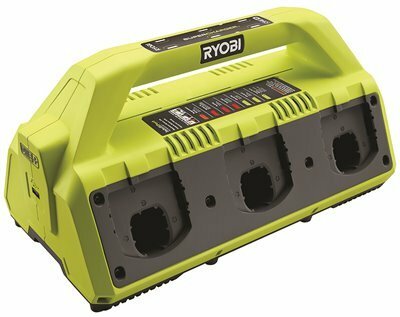 Ryobi's Slim Line USB Portable charger is compatible with all Ryobi 40-Volt batteries. Featuring a compact design with innovative charging protection technology, it is equipped to protect and extend the life of the battery. 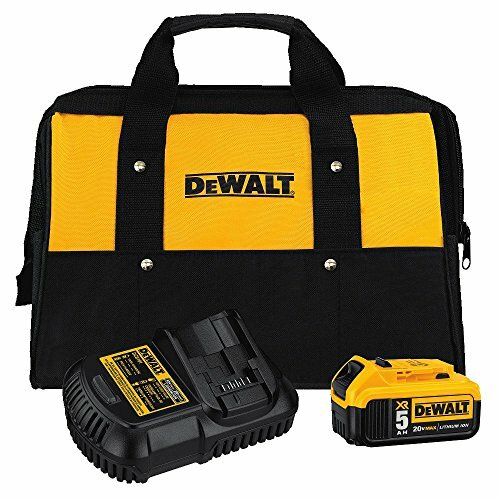 Includes USB charging port that can be operated from AC wall power or via a charged Ryobi 40v Battery to give your devices power on the go! 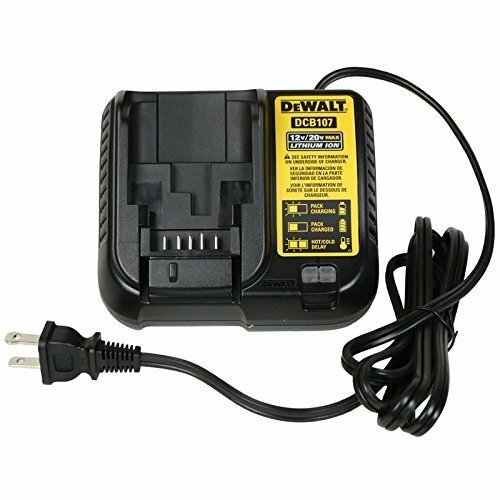 Includes USB charging port that can be operated from AC wall power or via a charged Ryobi 40v Battery to give your devices power on the go! 1 Pack x 5.0 Ah 19.2V Lithium Battery Replacement for Craftsman C3 Battery XCP Craftsman 19.2Volt Battery. 1 Pack x Craftsman C3 19.2 volt Lithium-Ion & Ni-cad Battery Charger. 1.This Battery is Designed for Craftsman. 2.The functions are the same as the original products. 3.Safe with rapid-charge technology while providing overcharge and overdischarge protection to increase the life of the battery. 315.114480, 315.114852,315.101540, 15.11448, 315.115410 130239006, 130235021. 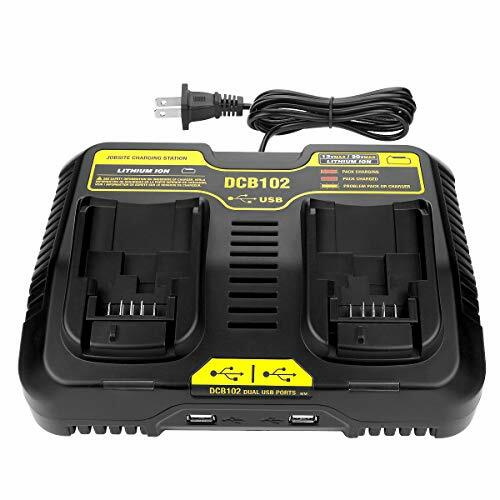 About charger: 100% Compatible with All Craftsman C3 19.2 Volt Lithium-ion & Ni-cad Batteries (Not fit model 9.6-volt 1323424 Nicad battery, 14.4-volt 9-11007 Lithium battery, 18-volt battery). 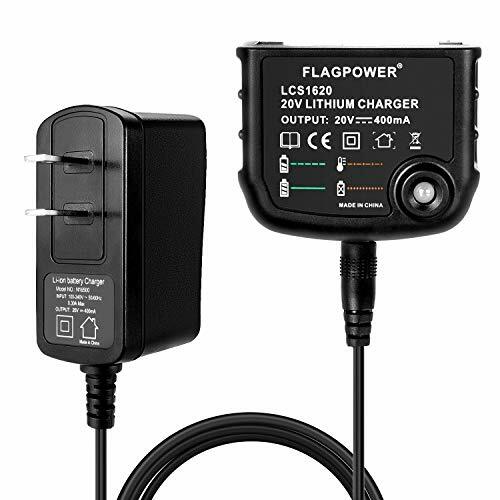 Diagnostics with LED indicator communicates battery charge status, the Rapid Optimum Charger monitors actively controls the current, voltage and temperature to protect your batteries. 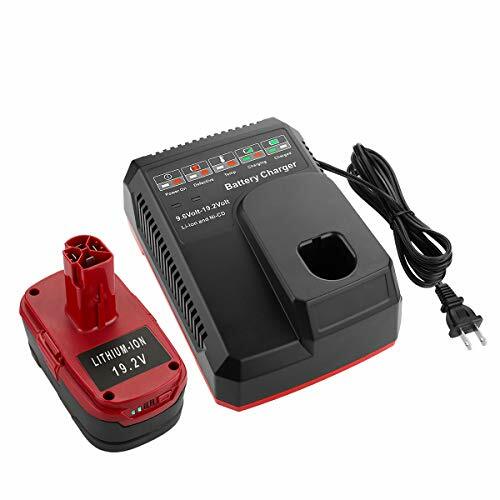 Fast charging, Universal 110V to 240V voltage input, wide compatibility to support 9.6V-19.2V batteries, DC output 2A for NI-CD batteries and 2.7A for Li-ion batteries, charge batteries in a highly efficient way. 45 days money back, 12 months warranty guarantee. 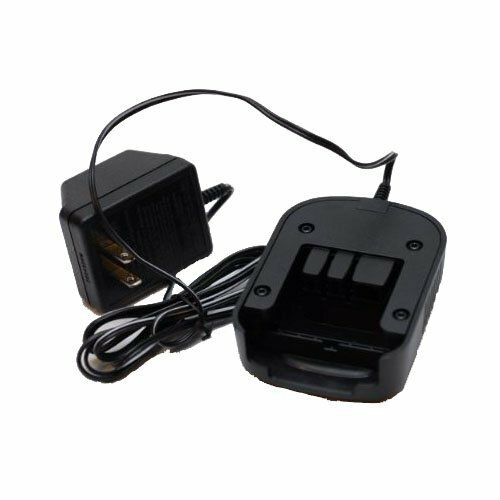 If you have any question about the craftsman 19.2V battery and charger, you could try again or contact us by your Order ID, or contact with us amazon service02@antrobut.cn, we will do our best to serve for you, we support 24*7 hours prompt after-sales service. Indicator lights that show the status as batteries are charged and maintained, with LED temperature gauge lighting.